From kindergarten to grade three of a child’s life is extremely important for developing a strong literacy understanding. In a previous post, I shared that nearly half of Canadians aged 16 to 65 fall below the minimum reading level required to function well at work and in daily living (IALLS, 2005). Reading difficulties in children and adults are not always obvious. Some can manage and fake their way through with reading situations, while others are too fearful to ask for help. And asking for help becomes more difficult as illiterate children grow into illiterate teenagers and illiterate adults. I spoke to Dr. Kay MacPhee, creator of Ooka Island and a long time language researcher here in Canada. Dr. MacPhee has dedicated over 25 years to teaching children how to read well and understand not only the alphabet, but also all of the 44 sounds that we use in our daily speech which is the foundation of learning to read. 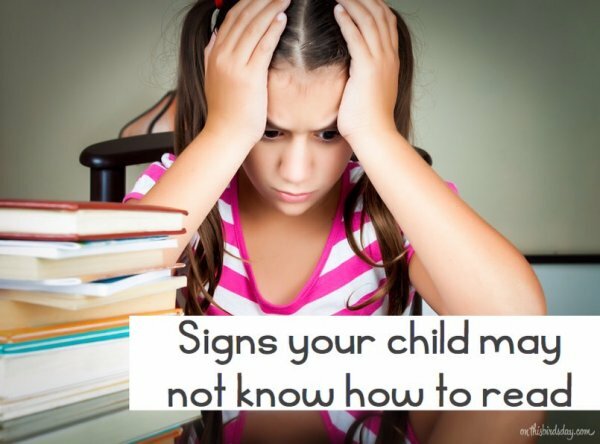 I asked Dr. MacPhee to share some signs that she picks up on that would tell her that a child might run into difficulty learning how to read. As your child reads on their own or with you, or as they are speaking, here are some things to look for. Baby talk is cute for a short while, but when your child enters kindergarten, you should observe that their words are spoken with more clarity. Once in kindergarten, they should be able to say or repeat most of the sounds and be able to pick up new vocabulary and language easily. Replacing one sound with another. For example, saying ‘baf’ instead of ‘bath’. When you ask them, did they mean to say baf or bath, they should be able to correct themselves and say ‘bath’. Then the mistake should disappear. Skipping a syllable. Saying ‘puter’ instead of ‘computer’, or ‘difcult’ instead of ‘difficult”. Again, as they hear the word, they should be able to correct themselves properly, and their vocabulary should begin to grow. Around age four to five years old, your child should be able to tell you the alphabet. They should be able to say it, not just sing it. At late kindergarten to early grade one, your child should also be able to recognize the letters and tell you what they are. As kids begin to speak, they will at first use one and two word sentences, then they will eventually use simple sentences. Then as they grow, their sentences should become more complex like “If it rains, we will not go outside.” As this happens, watch for small clues like saying “I want a milk” instead of “I want milk” or “he go to store” instead of ‘he goes to the store.”. A failure to understand the correct structure of language or multiple instructions may indicate that they won’t be able to understand and remember what they read. Once your child begins to read books, you need to pay attention to how they are reading. Are they looking at the page or the picture? Are they skipping words? Do they look like they are reading from memory? (At four years old, my daughter knows all of the words to her favourite book and she likes to ‘read’ to me.) If you have them point at the words while they read, do they point at the right word they are saying or does their finger rush across the page? They should be able to follow along as they read. Ask your child to point at the words as they say them. If the page contains a picture, cover the picture and have your child focus on the words to see if they are able to read without prompts. Ask them to point to a word on the page. Check for understanding. Ask a question about what they just read. Saying the words is one part of reading, but they need to understand as they read. Kids who are struggling with reading will handle reading and writing time differently. They may hide, freeze, cry, become angry, pick a fight, or they may become quiet and withdrawn. If you notice any of these changes when it is time to read or write, discuss this one on one with your child and bring the issue up with their teacher privately as your child may feel embarrassed if they feel they aren’t learning at the same level as their friends. Downloading an app like Ooka Island is a great help for anyone who is struggling to read and comprehend on their own. They can play the game away from their friends, and each game is designed to help kids learn how to read and includes the alphabet, the 44 sounds, reading books, matching sounds to letters, blending sounds into words, and identifying different words on their own (and more). 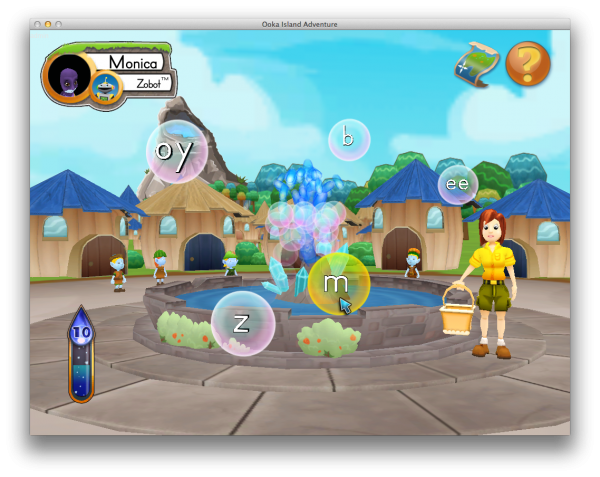 Ooka Island is an educational app for pre-k to grade two children. It differs than other reading applications because it breaks down the learning process so kids can learn all the different parts that make up the ability to read. I recommend the Ooka Island app to anyone who wants to focus on reading and making sure their child is where they should be. Thank you to Dr. Kay MacPhee and the Ooka Island team for sharing your insight for this article. This post is one of three sponsored articles for Ooka Island.